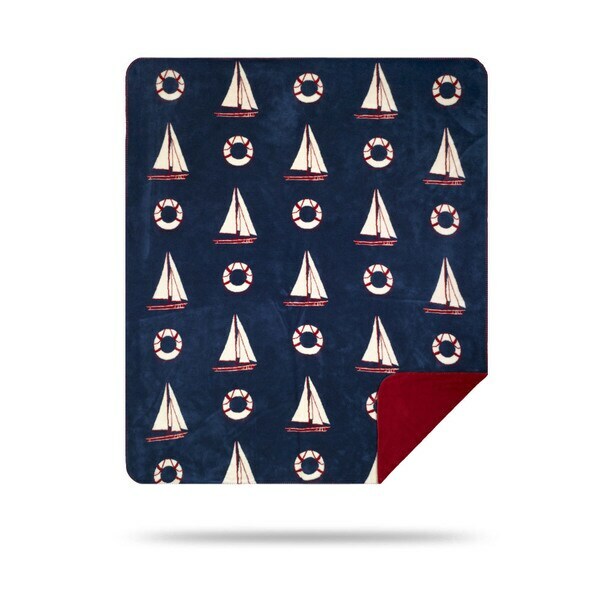 Cast off into comfort and style with this sailboat and lifesaver design. Whether you're buying for yourself or someone else, the luxury and comfort of a Denali blanket can be felt in every fiber. Dimensions 70.0 In. X 60.0 In. X 1.0 In.